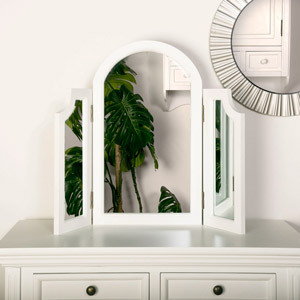 White painted tabletop swing mirror. 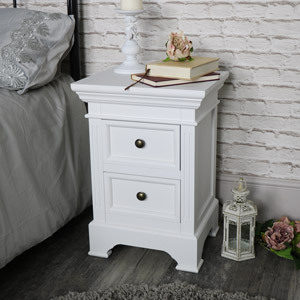 Perfect dressing table mirror for traditional or modern styled bedroom or dressing room. 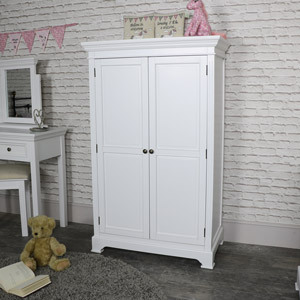 Matching bedroom furniture also available in the Daventry White Range. 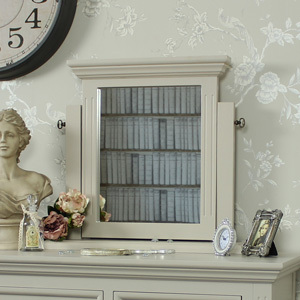 This mirror will be perfect to use with the dressing table from our Daventry White Range or as an individual piece. 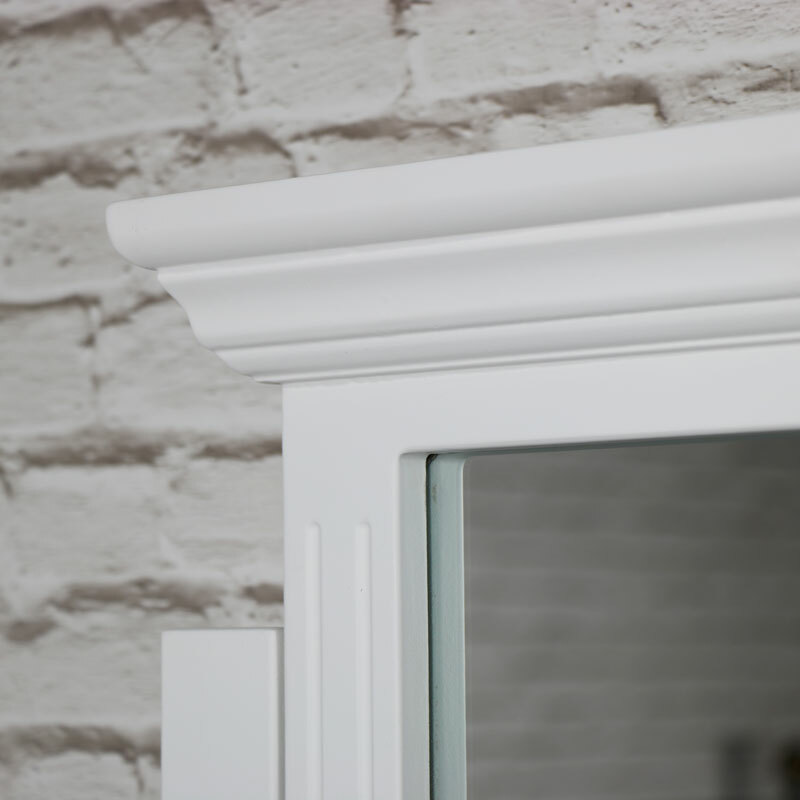 A sturdy mirror in a classic freestanding swing style that adds a Georgian look. The mirror is adjustable so you can angle it to get the best view. 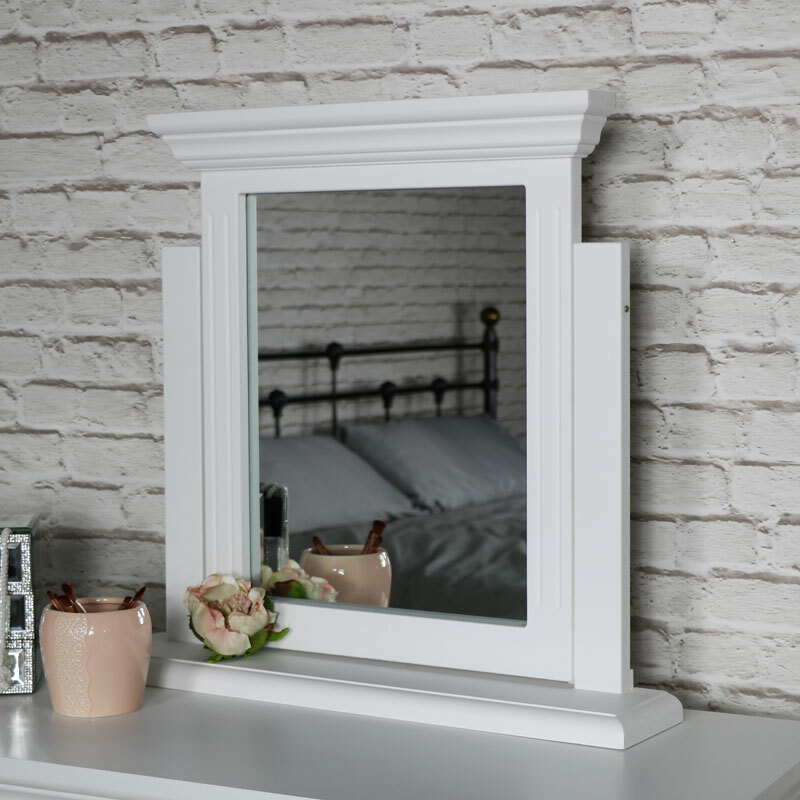 Classical elegance and so practical, this would the an ideal mirror to use in your bedroom or bathroom to ensure your always looking your best. 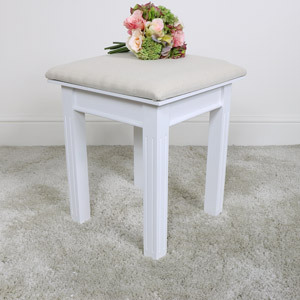 White painted tabletop swing mirror. 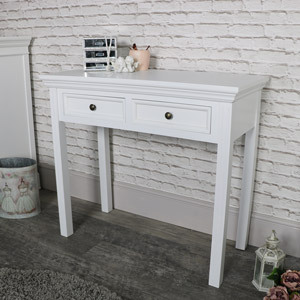 Perfect dressing table mirror for traditional or modern styled bedroom or dressing room. 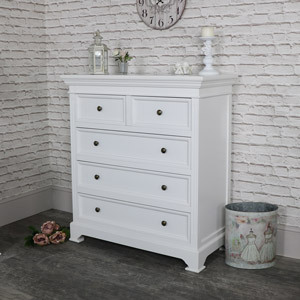 Matching bedroom furniture also available in the Daventry White Range. 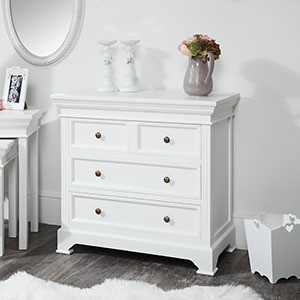 This mirror will be perfect to use with the dressing table from our Daventry White Range or as an individual piece. 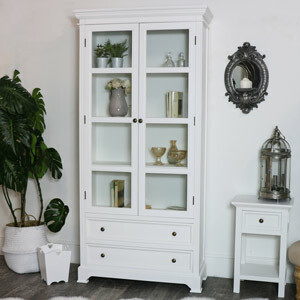 A sturdy mirror in a classic freestanding swing style that adds a Georgian look. The mirror is adjustable so you can angle it to get the best view. 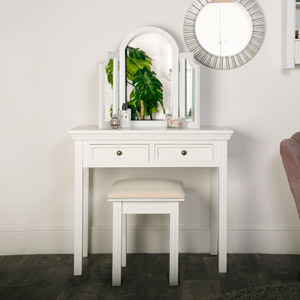 Classical elegance and so practical, this would the an ideal mirror to use in your bedroom or bathroom to ensure your always looking your best. 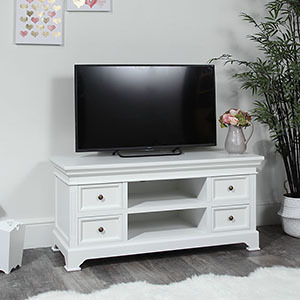 Made from wood in a white painted finish. 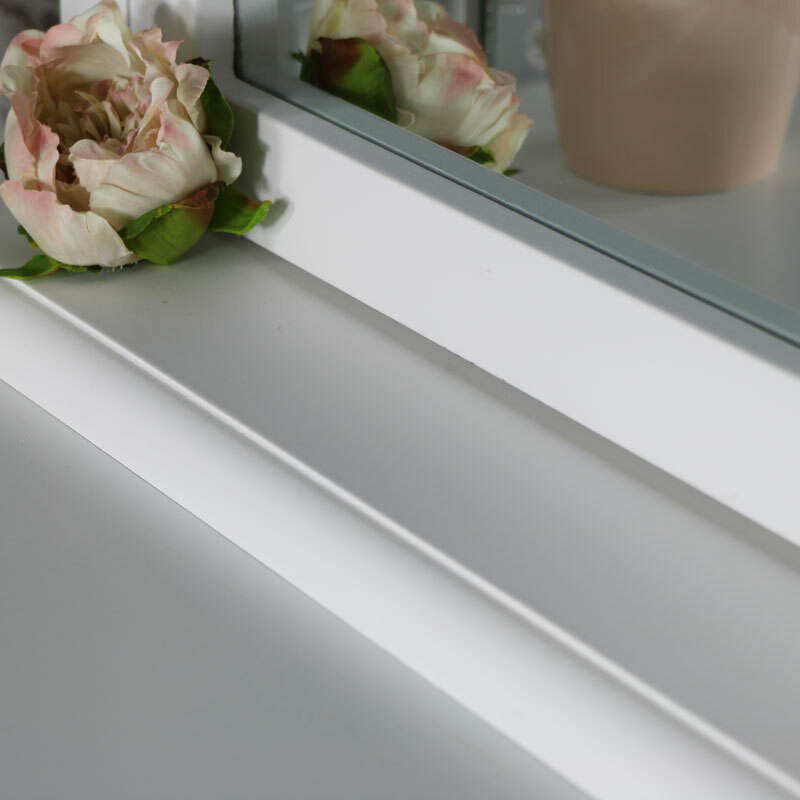 The mirror measures 59cm x 54.5cm x 12cm and comes fully assembled. 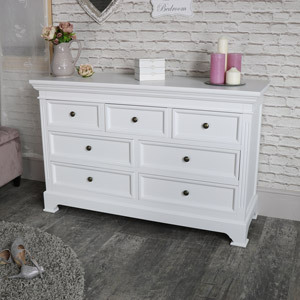 We have several more pieces in the Daventry White Range that will help you to create just the look you want for your bedroom.